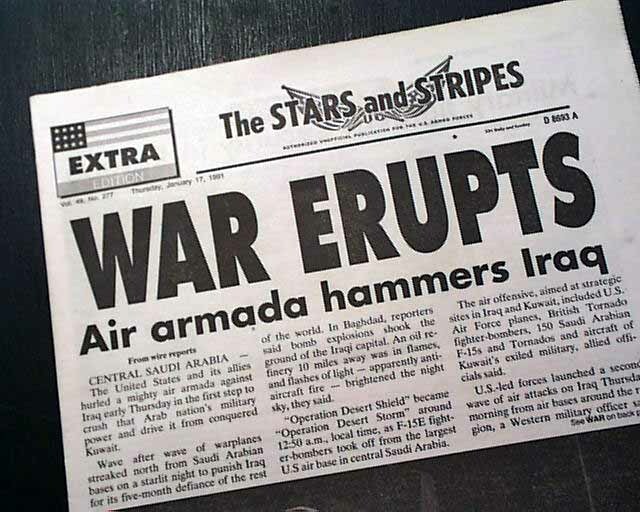 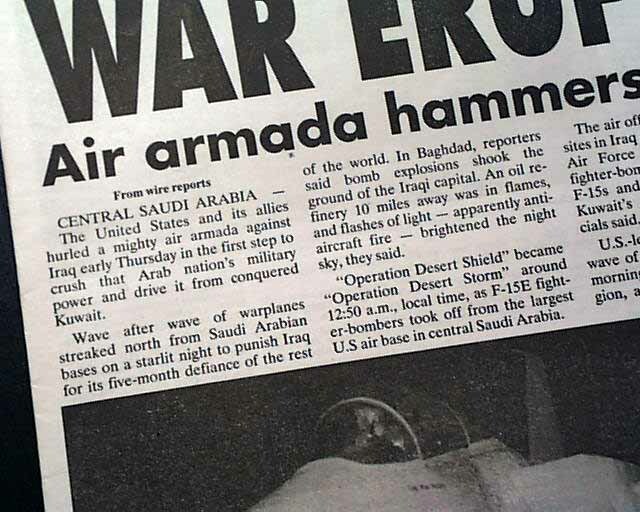 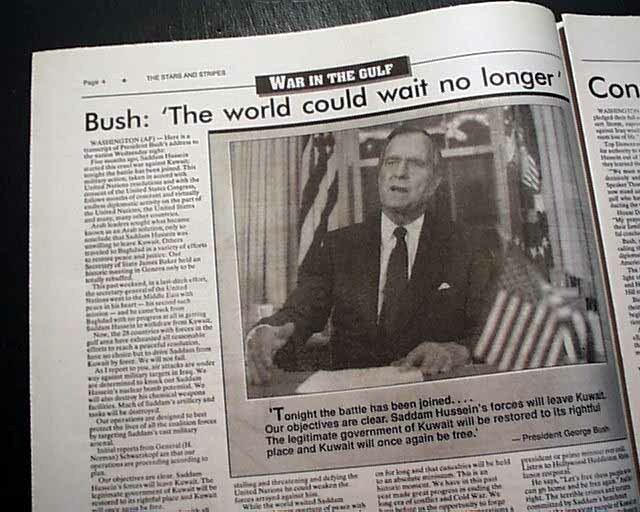 This newspaper announces the beginning of the war on Iraq in an attempt to drive it from conquered Kuwait. 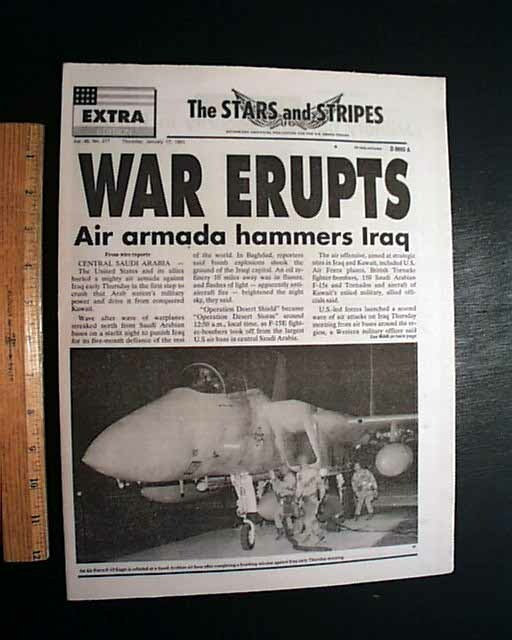 And this is perhaps the best newspaper with this report: the publication for the armed forces. 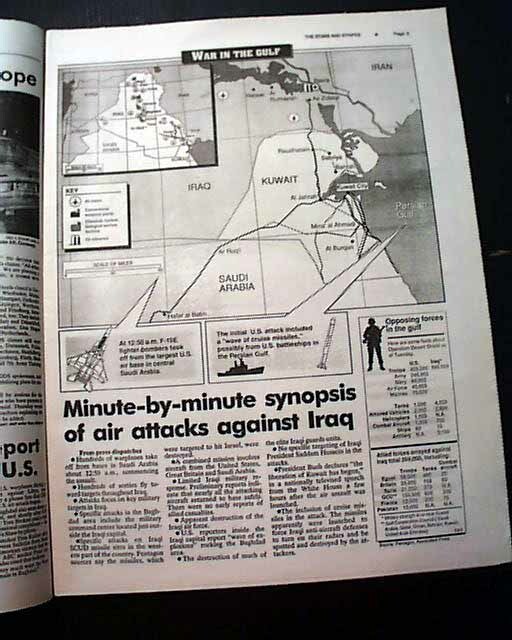 Tabloid size, complete in 24 pages, in excellent condition.